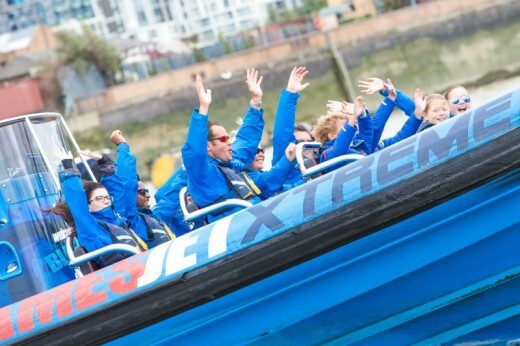 The high speed action starts here, on this Thames Jet Boat Experience. 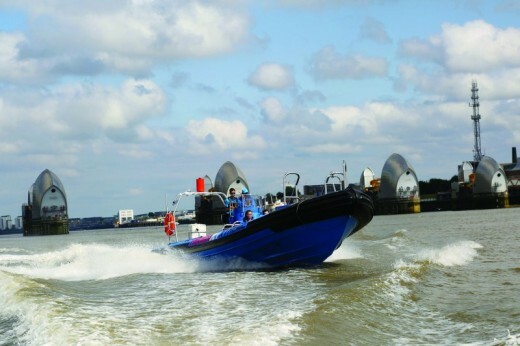 Take a high speed sightseeing ride along the Thames on a military graded boat. 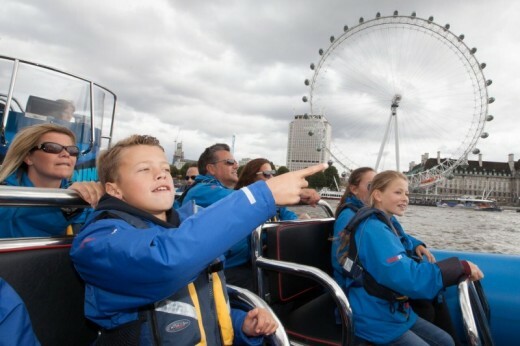 Your RIB ride Thames experience begins at Westminster Pier which is nestled alongside Westminster Bridge and two minutes walk from Big Ben. These military grade boats are extremely manoeuvrable (yes ours are built to the same specification as those used by the military and police) and our experienced skippers really know how to put them through their paces to give you the aquabatic ride of your life! Children under the age of nine years and/or of less than 25kgs in weight are not eligible to partake in this Thames RIB ride. Children under the age of 16 years must be accompanied by an adult. We reserve the right, when necessary, to alter timetables, re-route vessels for reason of safety or stop them serving a pier, without notice. Although any such action will be exceptional, we do not guarantee to operate any service in accordance with published schedules, or at all. We reserve the right to alter your booking time or date should the minimum passenger numbers not be reached thirty minutes before departure. Passengers are required to advise us of any medical conditions or disabilities at the time of booking. Passengers should consider themselves to be sufficiently medically fit to undertake this high speed boat ride and if there is any doubt should seek medical advice before booking. Without being exhaustive, this experience is not recommended for people suffering from back or other bone conditions, epilepsy, dizziness, diabetes, angina or heart conditions. Expectant mothers should not travel at any stage of pregnancy. We cannot be responsible for weather conditions during the RIb ride. Please dress appropriately for the conditions bearing in mind the river is often cooler than the shore. 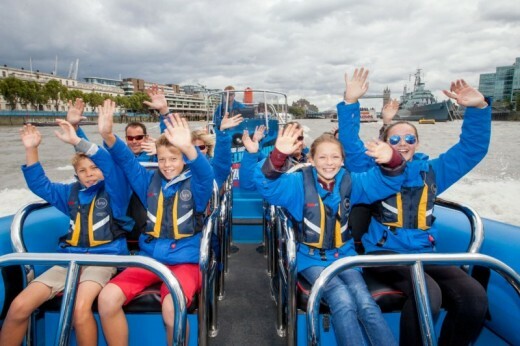 Your RIB ride on the Thames will last for 50 unforgettable minutes. This voucher is valid for one person only. You will share this experience with other people. Spectators are not allowed on this experience. Anyone wishing to join you should purchase another voucher for this experience. Passengers are advised to wear layers of clothing. You are also advised to bring a waterproof outer layer in case of rain. Flat shoes are recommended and high heeled shoes or other footwear deemed possible to potentially damage the boat are not permitted on board. This experience runs on selected dates. Please contact us for more information. Your browser does not support iframes, please contact us for the dates. Children under the age of nine years and/or of less than 25kgs in weight are not eligible to partake in this experience. Children under the age of 16 years must be accompanied by an adult. We reserve the right, when necessary, to alter timetables, re-route vessels for reason of safety or stop them serving a pier, without notice. Although any such action will be exceptional, we do not guarantee to operate any service in accordance with published schedules, or at all. The consumption of food or drink on board is not permitted.Passengers are required to advise us of any medical conditions or disabilities at the time of booking. Passengers should consider themselves to be sufficiently medically fit to undertake this high speed boat ride and if there is any doubt should seek medical advice before booking. Without being exhaustive, this experience is not recommended for people suffering from back or other bone conditions, epilepsy, dizziness, diabetes, angina or heart conditions. Expectant mothers should not travel at any stage of pregnancy.If you wish to reschedule, a minimum of 72 hours notice is required before the travelling date and is subject to the availability of an alternative time and date. A £25 administration fee may be levied for any such rescheduling. Changes cannot be accommodated within 72 hours of f scheduled departure. 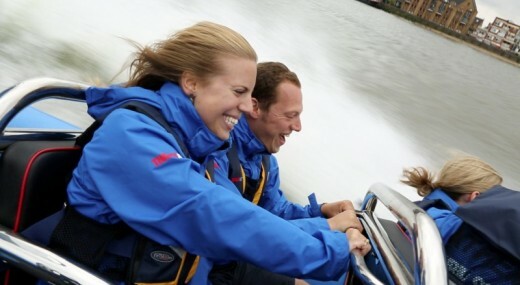 Do you need any help with this gift idea, RIB Ride Thames?